Three Boy Circus: A Slither Of Hope: Blog Tour Review & Giveaway! A Slither Of Hope: Blog Tour Review & Giveaway! 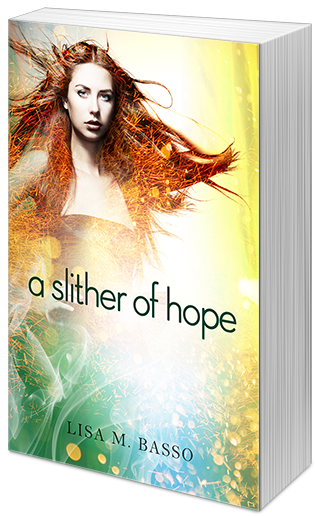 Welcome to this stop on the A Slither Of Hope blog tour hosted by Chapter By Chapter ! Rayna struggles to piece her life back together, but hiding in plain sight from the police, the SS Crazy, and the Fallen isn't a foolproof plan—something Kade, the World's Worst Roommate, reminds her of everyday. The late nights of failing to teach Ray how to protect herself against the Fallen are getting to Kade, changing him in ways he doesn't like, and after a family emergency sends Ray back into Cam’s arms, Kade decides he's had enough. News of Rayna's resurfacing brings both angels and the Fallen to San Francisco by the dozens, all eyes scouring the city for the girl with the gray wings. Rayna will need both Kade and Cam's help to ensure her family's safety, navigate the new dangers and enemies springing up all over the city, and manage the surprises that arise with her new set of wings. I received a free e-copy in exchange for an honest review. First off, you must read the first book in the series, A Shimmer of Angels before reading this one. In this second book, we see great character development with Rayna. She has transformed in A Slither Of Hope! I found it suspenseful and it definitely kept my attention throughout the entire book. I honestly wasn't expecting much about a book about angels (skeptic, here), but I really did enjoy this series. I found myself so torn between Cam and Kade, ugh! Be prepared: cliffhanger ending! Thank goodness there will be a third installment soon! 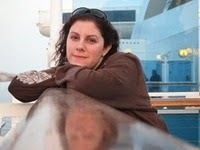 Also, I expect great things from this 'new' author, Lisa Basso. She looks to be off to a great start already with this series! Looks like a pretty good book!